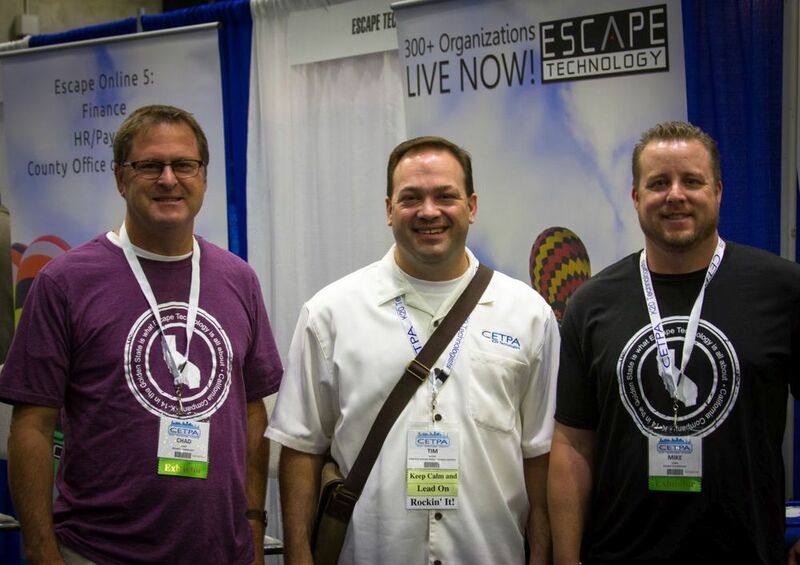 It was another great year at CETPA! 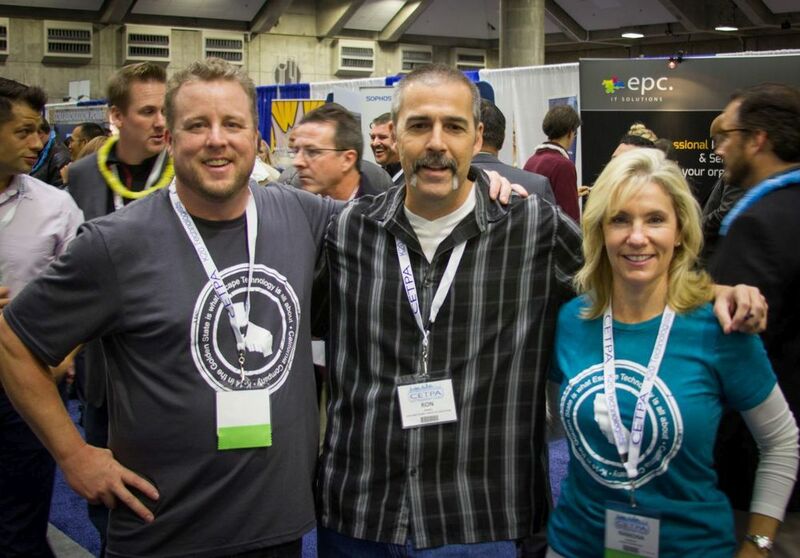 It was convenient for Team Escape this year since the conference was located in Sacramento! Given the close proximity to our office, we had more people than usual attend. Yes, even the elusive Chad Guest took time out of his busy schedule to attend on Thursday. We were also lucky enough to have several existing customers stop by our booth, which we really appreciate. Although the guys talk 'techy' on the phone regularly, there is nothing better than a face-to-face conversation. It always nice to make new friends, too, so we enjoyed meeting some folks for the first time and letting them in on all that is Escape! Many thanks to Mike and John for handling all the logistics! If you didn't get a chance to stop by the booth and see John's video check it out now.